Nitin woke up with a shock, sweating profusely. He looked around, trying to recognize his surroundings. He heard some cars race past on the road, the sound of the policemen chatting in the dark. The public park near the hospital is his new home at night as he cannot afford a room. He lay down on the grass again, thinking about his son, Vimarsh, who is in the hospital. The last image of his son made his heart sink. His 1-year-old son was bleeding from his nose and he had no option but to leave his wife alone in the hospital to take care of him. He has no money left to save his dying son. 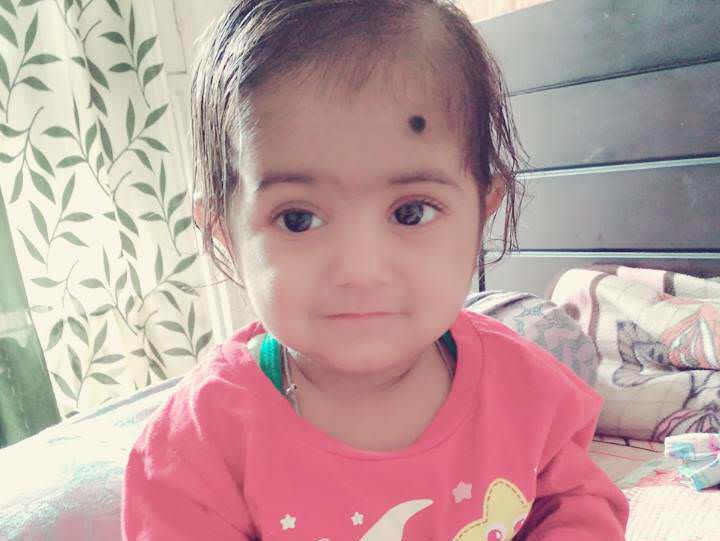 Nitin, his wife, Priya, and daughter, Vanika, welcomed Baby Vimarsh to their happy family in 2017. 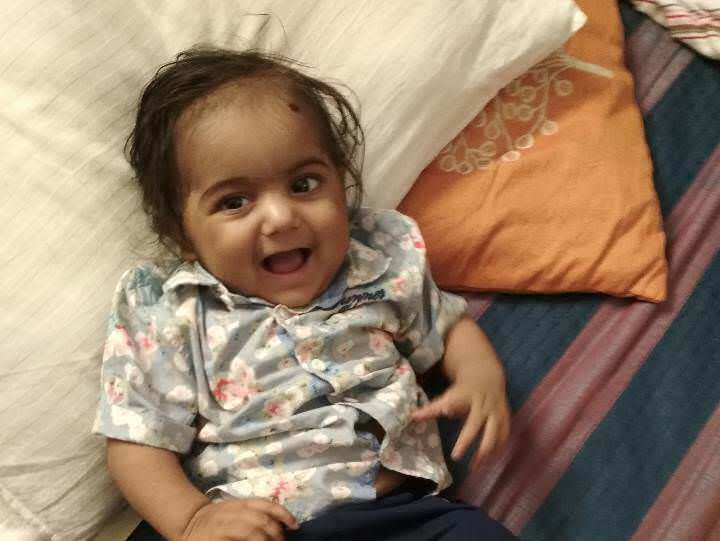 Nitin was doing well at work and with the addition of a baby boy, their lives were complete. But their happiness came with an expiry date, something they might not have imagined even in their worst nightmares. Vimarsh fell ill, no antibiotics could help him. His liver and spleen got enlarged. He was a diagnosed with HLH, a rare disease which made his own cells attack him. Their sweet, little son was dying. “We were so so happy. I think we cast an evil eye on our happiness – otherwise there is no way that Vimarsh would start getting sick. It started with a fever at 3 months. It did not go away. We were treating him in our hometown in Himachal Pradesh, but soon he had to be shifted to a better hospital in Chandigarh. I had to take long leaves from work. It all went downhill from there." -Nitin. The disease was killing him and his cure was a bone marrow transplant. Baby Vimarsh’s body temperature never went back to normal. He got weaker, and he fed lesser and lesser with every passing day. 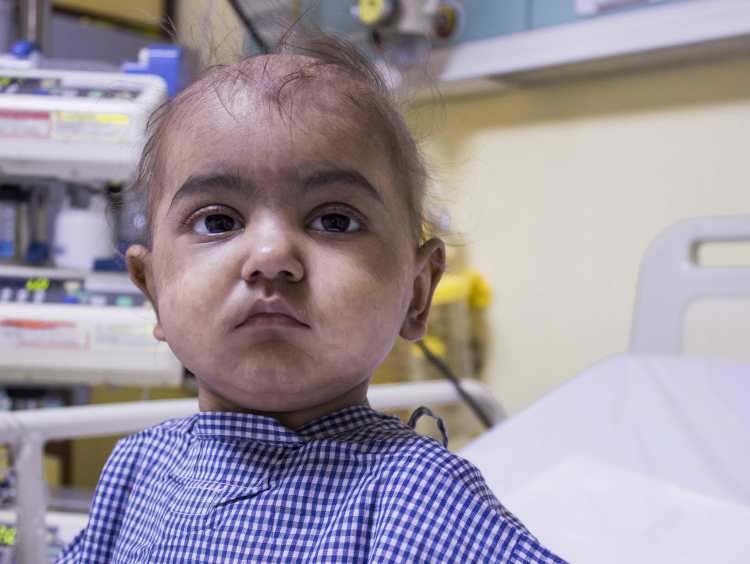 The doctors told Nitin and Priyanka that intensive chemotherapy followed by a bone marrow transplant is the only way their sweet baby could be saved. Nitin and Priya didn't think twice. They decided do everything possible to keep their son alive. The bank supported Nitin for the initial treatment and relatives, friends came forward to help. 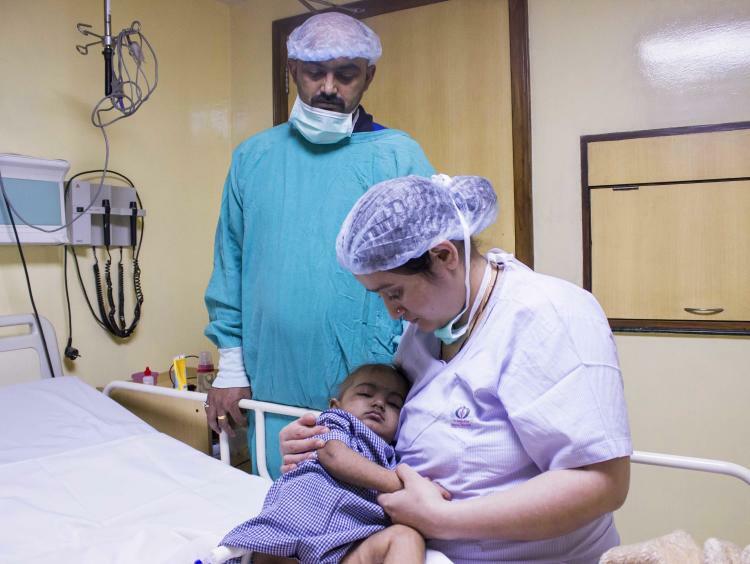 With all this support, the treatment continued and the family thought they can save their little son. But nobody could have predicted what were to happen next. 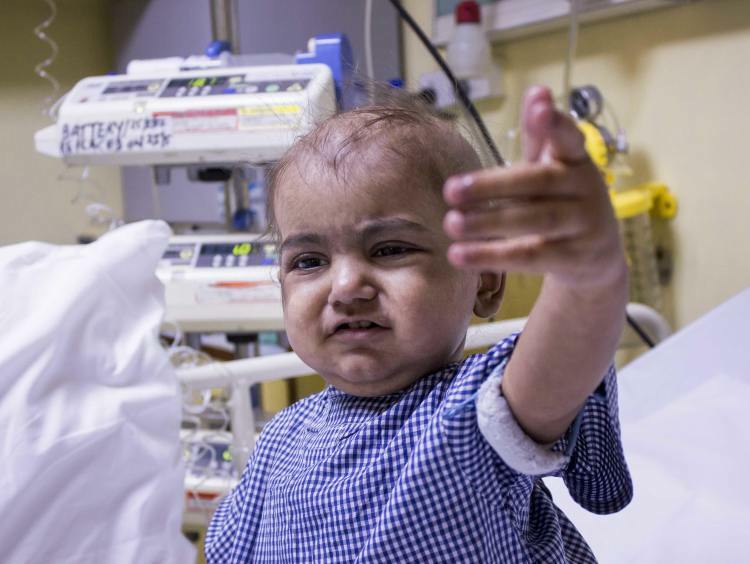 After months of fighting his genetic disease through chemotherapy, Vimarsh got his transplant done two months back. However, within a month, his body started rejecting the donor cells. 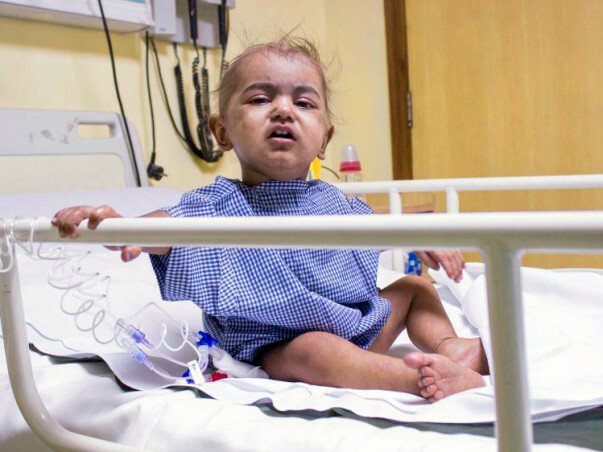 The symptoms that followed were so severe for little Vimarsh to bear. “He started bleeding from his mouth and got seizures frequently. He lost weight. His face lost its childish charm and started looking grim. He couldn’t eat or drink. We thought we almost lost him.”- Nitin, with tears in his eyes. 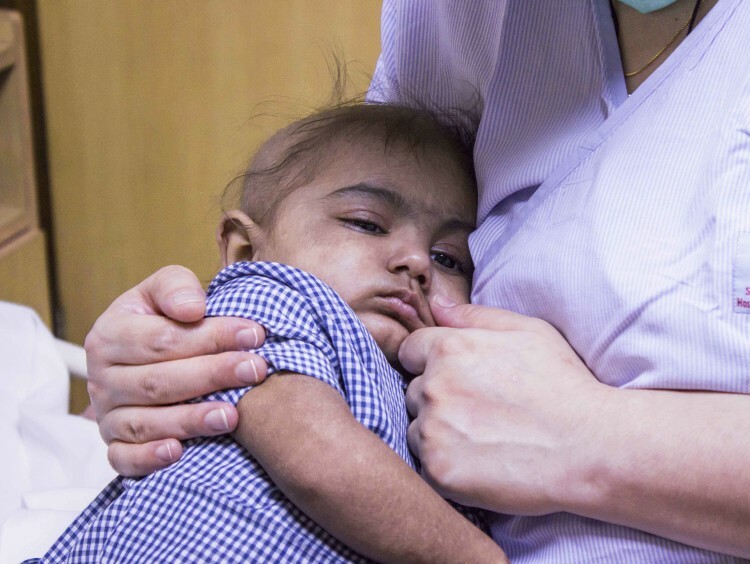 Vimarsh needs 2 months of stay at the hospital in Delhi where he will get medicines and life-saving injections to fight his post-transplant infections. He is still not able to eat anything and is surviving on nutrition supplements given via IV line. His vitals are also very unstable. Even a day out of the hospital’s sterile environment is enough to kill him. 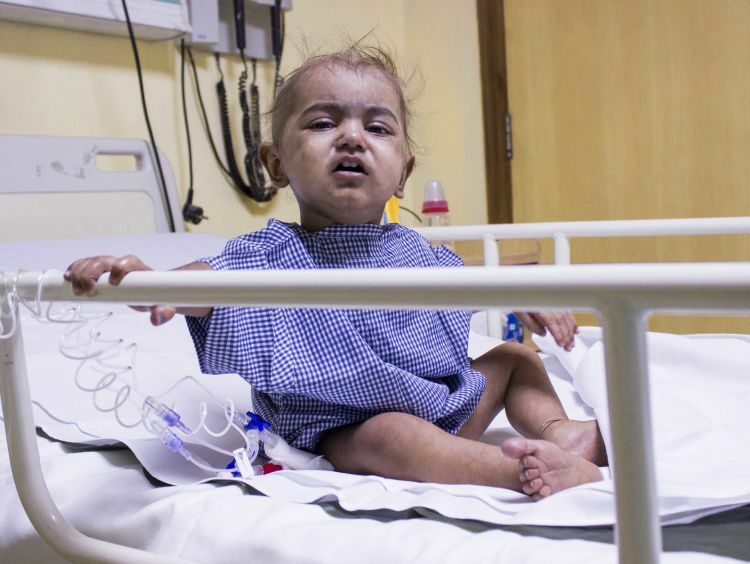 His father, Nitin, has already exhausted all his savings on treatment and other expenses till now. The family is going through a very hard time figuring how to help their baby. 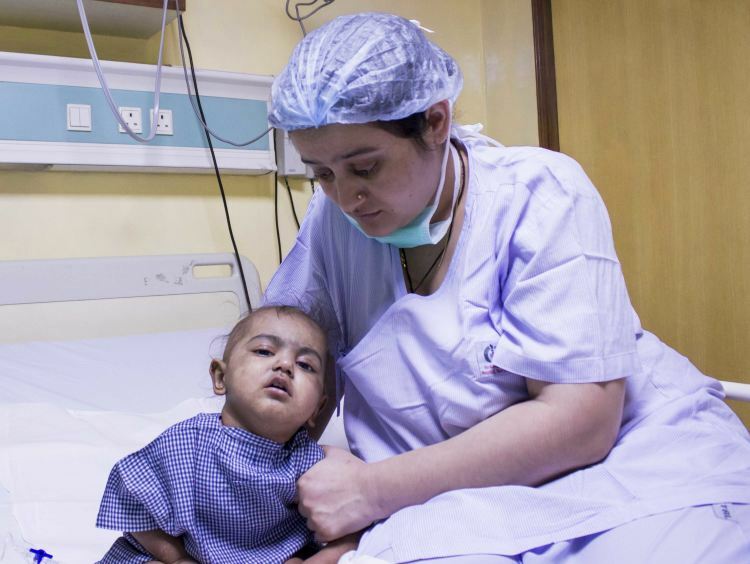 Nitin and his wife had to leave their 5-year-old daughter Vanika back home in Himachal Pradesh, to come to Delhi to save their baby son. For the first 8 months of treatment, the family stayed at a relative’s house. After that, they had to shift to a small hotel. But soon, they started running out of money. Today, Priya and her son stay at the hospital while Nitin sleeps in parks at night along with his brother-in-law. Hotels have become too much to afford. Good food has also become a luxury. 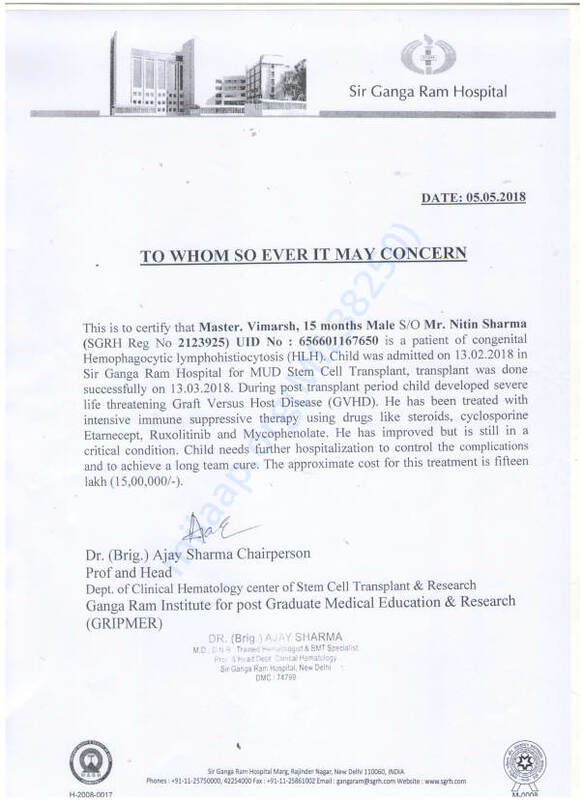 They need to arrange 15 lakhs to treat Vimarsh and save his life. “We buy food from dhabas now because from there you can get a full meal for Rs 50, while at the hospital canteen you have to pay Rs 140. I have not gone to work for more than 3 months now and even Rs 140 is so expensive for me. How will I save my son?" - Nitin. This father has spent everything he saved, begged and borrowed to support his son's treatment. Now, they cannot even buy a meal. Nitin and Priya go through the trauma of watching their son slip in to the hands of death. For a father who cannot buy a meal, arranging funds to save his son's life looks impossible now. 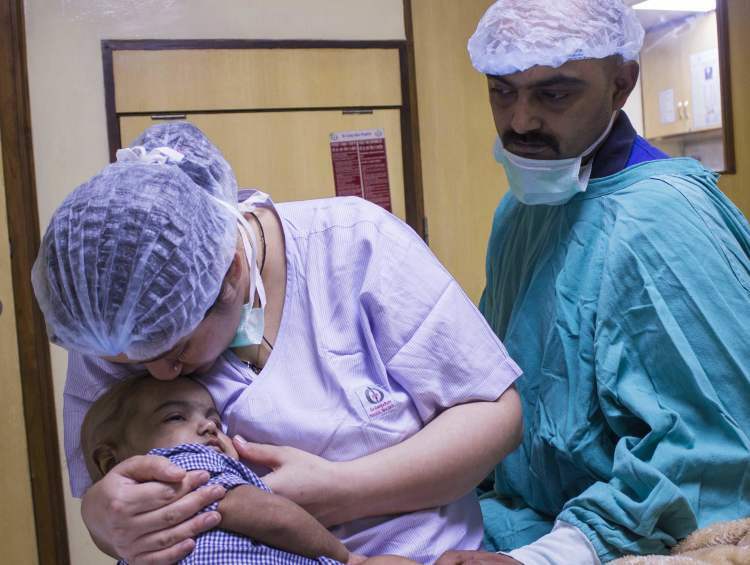 His last hope is in the generosity of people who would help to save his dying son. Thank you for the wonderful support that you have shown towards Vimarsh. He was undergoing treatment and his health was very weak. The doctors had kept him under constant observation. He developed issues breathing and was being administered treatment for the same. He developed an infection in the lungs and that spread. His tough little body was unable to take the stress and he left all of us. He fought very hard and could not make it. The funds raised via this campaign have been used towards his treatment. Please do pray for his soul to rest in peace. vimarsh still is in PICU. off ventilator now. physically he is very weak. but mentally alert. dr. needs close observation so kept him in PICU. surgeons visiting him regularly but still found not fit for surgery. We will keep you posted. Vimarsh is still in PICU but off ventilator. thats a positive sigh in it self. He is passing stool regularly. but bit uncomfortable because of pain. With time the Doctor will plan his intestinal surgery but not now and if things will be fine ,soon Doctor will plan to shift Vimarsh to ward.